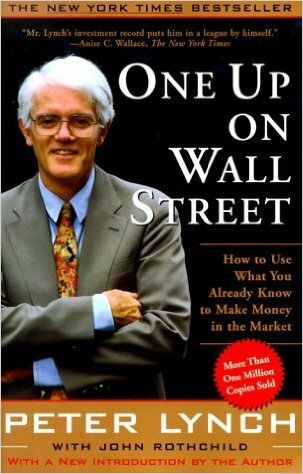 Peter Lynch, one of the greatest investors of our time has given ample time tested techniques in this book. -> Take advantage of what you already know. i.e invest in familiar sectors. Slow Growers – 4 – 6% growth. Stable Business like Power and other Utilities. Buy when you can’t find anything else. Stalwarts – Medium Growth. 10- 12% growth. Established companies like HUL, CocaCola, P&G etc that grow year on year and make standard profit. Take profits at 30 – 50% and repeat with other stalwarts. Fast Growers – Medium to small size companies that grow at 20 – 25%. Assess growth phase and sustainability. Cyclical – Expands and contracts over time. Eg: Auto, Airlines, Tyres, steel, Chemicals. Asset Plays – Properties i.e land and other assets held by a company is more valuable than the quoted price. Categorise the stocks you purchase into the above buckets and arrive at target price based on the category it falls. What is a Perfect Stock? Institutions don’t own and analysts don’t follow. It’s a no growth industry. Steady business, reliable customer base. It’s a user of technology which results in massive cost savings. Which stocks to Avoid ? Buy when Price line is below Earnings line and Sell when Price line goes way above the earnings line. P/ E guideline – check historic P/E levels to know average. Check if companies have a plan on how to increase future earnings – reduce costs, raise prices, expand into new markets, sell more to same market, close down loss making operations etc. (1) Does this new trending product have an impact on co’s prospect. If yes consider, else no. (2) PE Ratio & Growth = long term growth rate + dividend yield / P/E Ratio – ratio < 1 poor, 1.5 – 2 – Ok , 3 and above – Excellent. This is not same as PEG ratio. (4) Debt Factor esp for companies in trouble. Can they survive the crisis? (5) Dividends – Regualr dividends payouts acts as floor for drop in price. Signs to look out for – Piling up of (obsolete) inventory , pension plans and future obligations including contingencies. Eg: litigations. Recheck your story every few months to see if they are still relevant. Through Holding Company: When a holding company has a subsidiary in the much hyped sector which might later be spun off. Holding co. business is a downside protection. Through ‘Brick and Mortars’ that benefit from the efficiency by use of this new technology. Invest for the the long term so that you will not be forced to liquidate for need of cash in a bear market. Only Invest what you can afford to lose without the loss having any effect in your foreseeable future. P/E ratio – High or Low – Compare with similar co’s in same industry. Are insiders (Promoters/Directors) buying ? Company buyback? For Stalwarts – Check P/E, for possible ‘diworsificcations’, growth rate, momentum and for long holding periods chk performance over prev. recessions and downturns. Cyclicals – Watch out for new entrants. Anticipate shrinking P/E. auto up and down cycles last for 4-5 years each. Deeper down cause higher ups. Fast Growers – Is PE almost equal to growth rate in earnings. Is Expansion speeding up or slowing down? Does it have room to grow ? Proven ability to expand ? Turnaround – Will business survive ? Liquidation Value of company. How will turnaround happen? Is Business coming back or costs being cut ? Asset Plays – Is there any hidden value in the assets? Is company taking on new debts ? Beware of Provisions and contingencies. 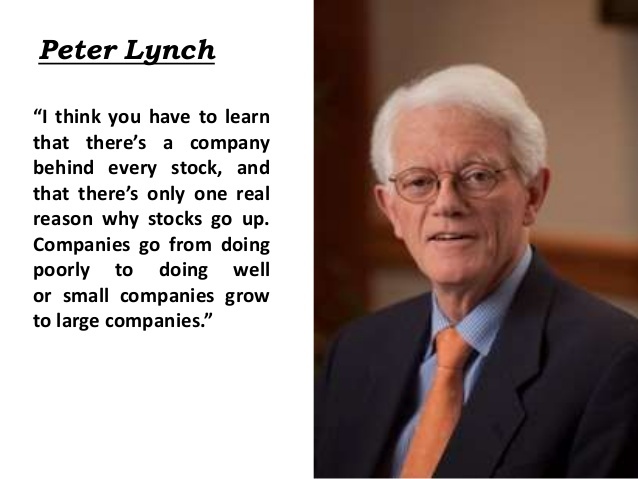 (1) Understand the nature of the company and specific reason for holding the stock. (3) Big companies small moves in prices, small companies make big moves. (10) Don’t buy only on stated Book Value. Consider Real Value. Realistic Expectations – six of 10 ideas and 12- 15% return. Consider risk portfolio and age factor while allocation. If company has gone up well to factor in all good news, it may be sold. But if original story is intact stay invested. Slow Growth – On 30 – 50% appreciation or when fundamentals have deteriorated. Stalwarts – Price strays too far from earnings, and/or industry P/E. Slowing growth or vulnerability of a major division. Cyclical – 100% of capacity is used, Inventory build up, product slowdown, union demands, high capital requirement for expansion. Fast Growers – too much media attention, no where to expand business, high P/E of 30 + when growth is below 20, high institutional holding, exit of key executives to join rival. Turnaround – After the turnaround, High dependency on one customer, growing debt , rising inventory , High P/E. Asset Plays– Once hidden value is unlocked and is fairly priced. Increased institutional ownership, lower sales, increase in debt , dilution of share value. Do not buy a mediocre company because it is cheap.